Spring is a happy time, a time for fresh beginnings and longer days. An anticipating fresh breeze that inspires our souls and spirits. 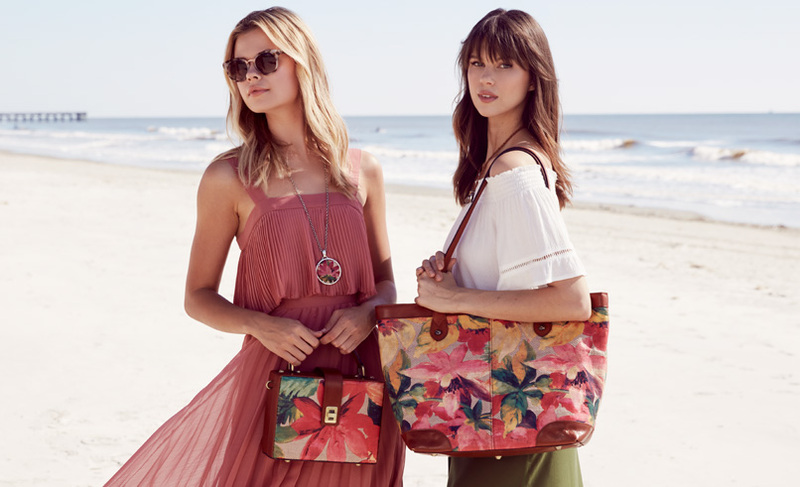 Spring is a time when Patricia gets adventurous with materials, colors, and new designs using wicker and straw, feminine florals, trending pastels, black and white, and now jewelry, which launched this Spring. As always, her collections are inspired from her extensive travels, fond family memories, and joy for life! All are created with quality materials and exceptional handcraftsmanship, sure to elevate your wardrobe and brighten your days. This season’s new collection for spring features charming structured bags handmade of woven wicker and straw with contrasting leather straps and accents. These lovely vintage styles are on-trend and timeless. 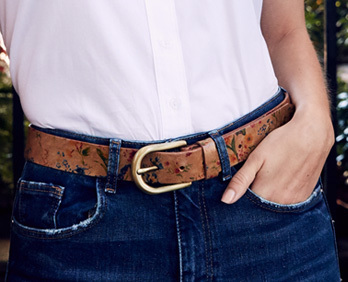 We took our most popular floral print and updated it to be even more amazing and vibrant. 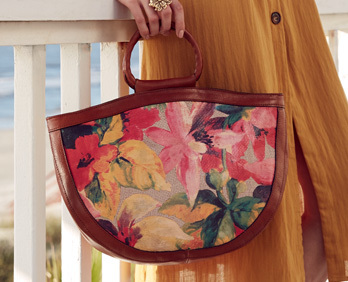 The original hand-painted artwork covers new woven straw bags with unique leather handles and accents. Using coins from her travels as inspiration, Patricia designed this collection to capture her memories of times spent abroad. Mixed metals and natural stones highlight the details in these beautiful pieces. Patricia was inspired by a beautiful French chiffon dress she found on her travels that was so feminine and airy, reminding her of the soft pastels that have been seen all over Europe. 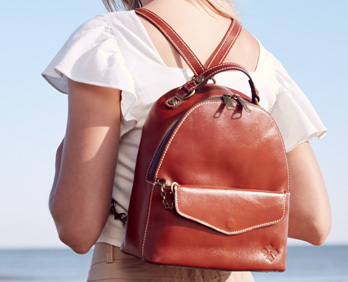 This print was rendered with a crackled glaze on smooth leather for a sweet vintage appeal. 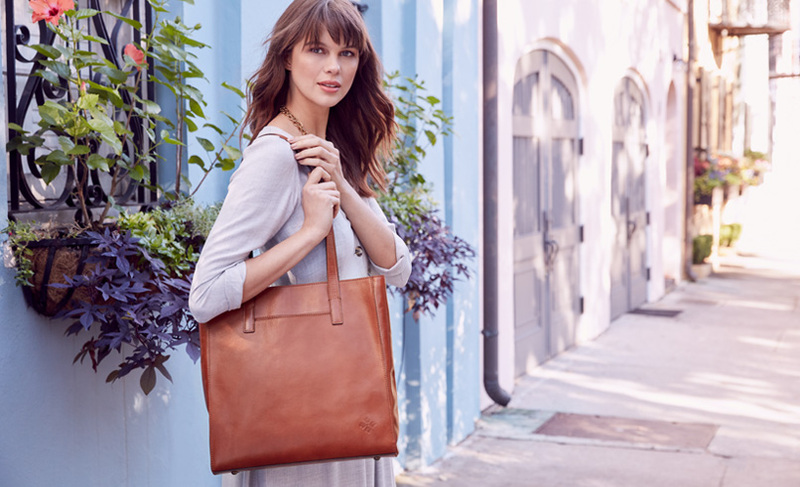 Part of our favorite Heritage Collection in full grain vegetable tanned leather, the new Viana is a structured tote perfect for work or casual, at home or traveling. 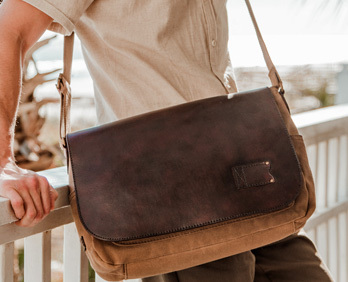 Shown in classic Heritage tan, it is also available in black or white. Each season Patricia designs striking prints and intricate tooled leathers for her handbag collections. This pendant necklace highlights some of the finer details of those hand-crafted leather designs. 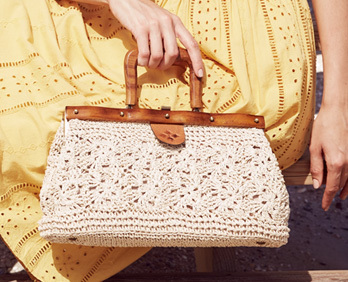 A perfect accompaniment to breezy summer looks, this lovely vintage basket bag is handmade in natural woven wicker, featuring brown leather trim and a fresco bouquet scarf – adding a chic edge to your warm weather wardrobe. Shown with our Lock & Key necklace and bracelet using turquoise color magnesite stones as perfect accents. 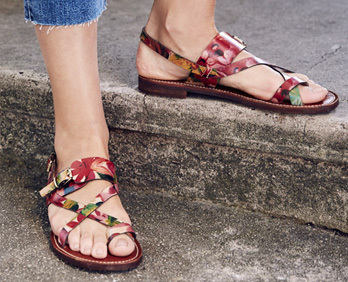 Our Floral Deboss collection was inspired by our seasonal signature floral prints. Now in pastel pink on deeply textured leather, the tone-on-tone look transitions into spring and beyond. This 60s inspired, woven straw tote will be the perfect versatile statement piece for your warm weather look! With two circular wooden handles and a removable/adjustable leather crossbody strap you have multiple carry options with the Luzzara. Shown with our Compass Pendant locket that is sure to become a treasured keepsake. Inspired by our most popular tooling pattern used throughout the brand, this collection features a tooled flower as the focal point for each jewelry piece. When a sunflower dress in France reminded Patricia of the fields of sunflowers she played in as a child in North Dakota and Minnesota, she was inspired to create this black and white floral collection. 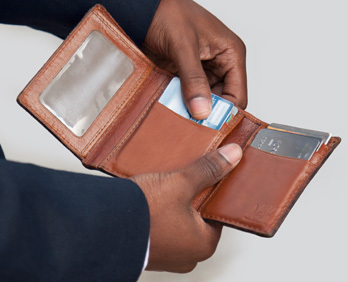 Rendered on smooth leather and in a burnished tooled pattern, these pieces are instant classics. 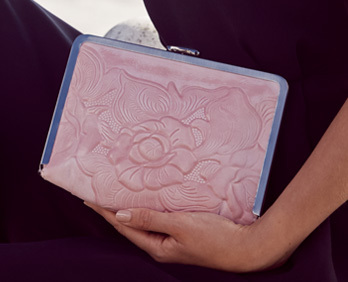 Patricia envisioned using a “dusted” pastel and white waxed leather palette to create an updated tooled collection perfect for the spring and summer seasons. Each hand-tooled panel on these bags is a uniquely crafted and stunning work of art that will age beautifully to a rich patina. Simple, classic and on trend, we’re bringing a black and white color block combination popular in the 1960s to our vintage inspired brand for spring. Dress it up or down, pair it with casual or contemporary, these striking bags are every day elegant. Patricia has always loved the time-honored craftsmanship of classic woven leather handbags. This season she created an updated intricate pattern of twisted woven leather that is affordable while keeping that classic feel. She paired it with pastel pink, white and tan leather for spring.